We're always honored to receive good reviews and features about our restaurant. We wouldn't succeed without the word-of-mouth of our loyal customers and friends. Here are some of the articles about Feast Bistro that we've been fortunate enough to be featured in. 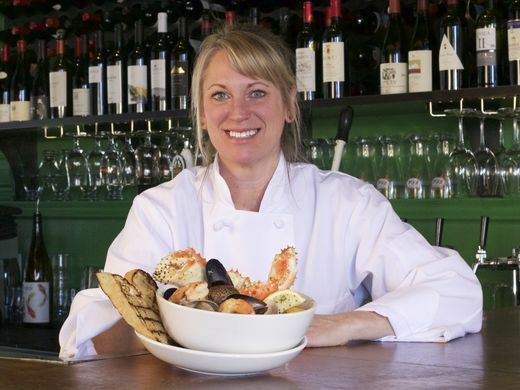 In celebration of Women's History Month, USA Today released a list of 50 outstanding female chefs - one in each of the 50 states, and we are proud to announce that Feast Chef and Co-Owner Caroline was recently featured on their list of 50 female chefs in 50 states! "Meals that transport me to another time or place and conjure up memories of home have always been my most enjoyable. Feast Raw Bar and Bistro presents an atmosphere that is both warm and relaxing and exciting and vibrant - the perfect escape from the snowy winter wonderland that is Bozeman. " "If the idea of a Montana bar conjures images of longneck beers and sticky floors, then maybe it’s time to refresh your thinking with a visit to Feast, a new raw bar and bistro with a vibrant, adventurous menu—and playful décor to match." The Architect's Wife is an interior design firm owned by Bozeman designer Abby Hetherington. With over a decade of high-end residential design experience, Abby Hetherington and the team at Abby Hetherington Interiors have created the physical materialization of her modern mountain design aesthetic. Abby borrowed inspiration from our menu and bistro approach to dining to create a space that is completely unique to Feast. Read about how she helped us create our space below. "Feast is what it promises by name: a feast for the eyes as well as the stomach. 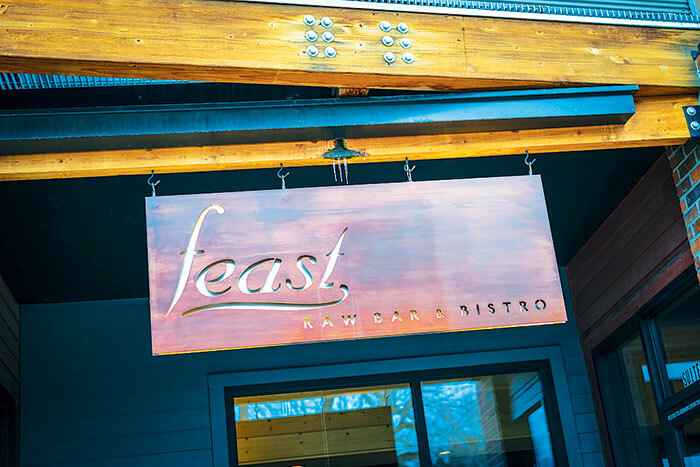 A modern treat in Bozeman, Montana and a step away from the ordinary of the little college town, Feast specializes in seafood and atmosphere....With a little bit of something for every palate, Feast is a treat to have in Montana and a must hit for anyone visiting the area." We were ecstatic to be featured so positively by Sip Northwest, and you can check out the full feature by clicking below. "The Raw Bar at Feast Bistro lays out exquisite pairings, such as Bison Carpaccio, Stuffed Clams, or Salt Roasted Oysters with La Solitude Côtes du Rhône or Chateau des Deux Rocs Languedoc Cabrières, both from hilly regions and each a distinct canvas upon which to paint your seafood dreams." We are always thankful for the support of our local publications, and Bozeman Magazine recently included Feast in their list of best tasting rooms in the region. We made Best Things Montana's list of the top 15 restaurants in Montana! Check out our profile and the full list below.